You may have heard that your life will become more enriched and less stressful if you make it a habit to be mindful and live in the moment. What this means is that you should be aware of what is happening within and around you without making any attempt to change what you notice. But, how can you, as a coach, help your clients to be more present? Read on and discover some actionable tips that will make your clients more present in the moment. It is hard to be more present at work or in your relationship (or indeed in anything else) if there is a lot of noise/distractions. One of the biggest distractions today are our devices, such as a smartphone and laptop. One way to help your coaching clients to be more present therefore involves asking them to set aside their devices from time to time. For instance, tell him or her to put away the smartphone when having a discussion with his or her significant other. In this way, the person will be able to immerse himself or herself fully in what is happening at that moment. More sustainable results in higher levels of mindfulness can be achieved by setting aside a block of time each day to be free from the distractions caused by devices. An example of a time when this can be useful is from the time one has dinner until they go to bed. It can be difficult to be in the moment when your body is crying out for nourishment or when it is struggling to cope with your bad lifestyle habits. Think about this for a moment, can you stop and enjoy the chirping of the birds in the trees when your head is throbbing after a wild night of heavy drinking? Encourage your coaching clients to have a balanced diet and tone down any bad lifestyle choices that they had become accustomed to. These include not having enough sleep, drinking heavily, substance abuse and so many others. Your clients will notice that they are more mindful once they start taking better care of their body. Another way to help your clients to be more present at work or in anything else is by advising them to stop trying to control everything. There’s only so much that we can control in our lives, but some people keep worrying and obsessing about things that are outside their control. For example, it is futile to obsess about what will happen to you if your supervisor leaves and another one takes that office. All you can do is to continue being good at your work and the leave matters to unfold as they will. As your clients learn to give up trying to control everything and then start living one day at a time, they will be more present and will enjoy the little positives that happen each day. Coach training also emphasizes that coaching clients should be encouraged to journal on a daily basis. This tool is deceptively simple yet very powerful in teaching people how to be present. Think about a client who comes to you for help in preparing him or her to register more success in the job search process. That client can start journaling about how they spend their day doing different activities related to the job search process, such as networking and attending interviews. The individual will be more keenly aware about their responses to what happens, and this awareness will help to pinpoint the pain-points where your help is most needed, such as overcoming interview nerves. The crowning moment will then be that day when their journal entry reveals how elated they felt after acing an interview for the first time! Journaling is powerful because it nudges us to reflect about our day. This reflection brings us into the present and we end up increasing the extent to which we are aware of what is happening not just around us but more importantly within us. Your coaching clients can also become more present at work, in their relationships or anything else if they start tuning in and listening to what their bodies are communicating. For example, many people have automated having meals because they never notice when they are hungry or not. Being mindful about what your body is communicating is crucial in several ways, such as giving you a prompt to ride with the flow regardless of what you had planned. Haven’t you had moments when you work beyond your normal time to leave just because you were “in the zone”? Similarly, your body may cry out for some rest even if you are in the middle of writing an important report. Teach your clients to listen to, and act upon, the signals sent by their bodies in order to attain a higher level of mindfulness or being in the moment. Related to listening to your body is paying attention to and analyzing your feelings. Many of your coaching clients will come to you when they are incapable of dealing with their feelings. Feelings are a feedback mechanism that alerts humans about what is happening around them and how they should respond to it. Many people fail to take the message in their feelings and they end up in bad situations, such as individuals who stay for longer than is justifiable in abusive relationships. As a coach, it is your duty to help your clients to be aware of, and start analyzing their feelings in order to move towards their goals. For example, one client may tell you that he responds rudely each time a superior gives him an assignment whose deadline is tight. Such a client may be unsuitable for high-pressure work environments, such as busy marketing firms. An analysis of those feelings may therefore result in switching careers to something more suitable for the personality or work style of that individual. It also gets easier to be present in the moment when you regularly spend some time appreciating nature. For example, your mind is likely to calm down when you sit quietly under a tree away from the bustle of the highway traffic or noisy street. Take a nature walk, go camping, etc. Spending time in nature ignites our different senses and we focus on the various sensations that we are experiencing. This mindfulness can eventually carry over into the other aspects of our lives, such as our work and relationships. Encourage your coaching clients to implement this tip so that they can start enjoying life a little more. The most important thing is life, and there is no better way to enjoy life other than by being more present in everything that you do. Stress this point to your coaching clients and give them as many tips as possible so that those coaching clients can find different ways to be more present. Did you know that Performance Coach University is an ICF & BCC Accredited Program? If you want to make an impact and add deeper meaning and purpose to your life through coaching, now is the time! Now more than ever people are openly looking for coaches, someone in their corner to help guide them to achieving their goals. They want to perform better in their jobs, lives, health, and relationships and they know working with a coach is the answer. 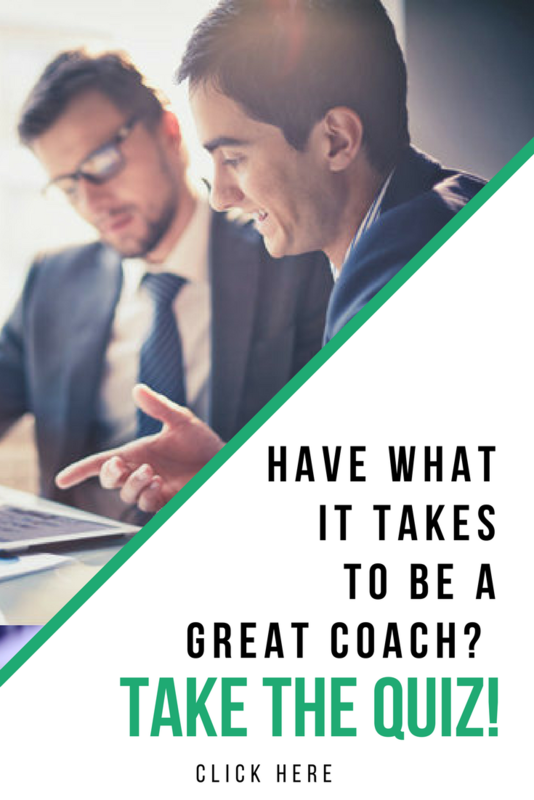 Let that coach be you! This entry was posted in Better Life, Emotional Intelligence and tagged Be Present, Being Present, Emotional Intelligence, Health Tips, How to Be More Present, Jairek Robbins, performance coach, Performance Coaching, Present in Relationships. Bookmark the permalink.